A rich conditioner to repair and smooth hair; helping to protect hair colour. 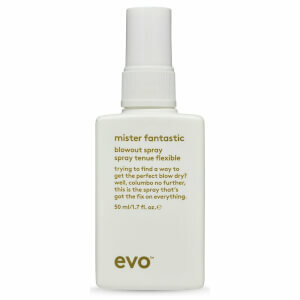 Save 25% off evo and receive a free evo Mister Fantastic 50ml when you spend $60 on the brand. Gift applied automatically at checkout. While stocks last. My hairdresser recommended this brand to me and thank god she did. I have thick wavy hair that gets coloured quite frequently and this conditioner has improved the overall quality of my hair. It smells nice and isn't too badly priced considering. I would highly recommend this particular product to anyone with dry hair that is looking for an everyday shampoo and conditioner. 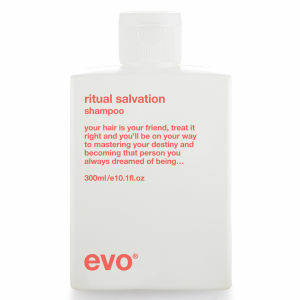 Although if the rest of the EVO brand is half as good as the "ritual salvation" range then i would say oily and normal hair types could find something for themselves. It goes on sale quite often as well. I have always been under the impression for products to show results after a few uses. This product works straight away. As I was applying the condidtioner through my hair, I could feel the healthiness coming through. After I left in for 2 minutes (according to instructions), I could feel how smooth and healthy my hair felt during rinsing. Yes, the bottle content is small. However, one pump goes a long way. I am confident to say this as my hair length reaches to my lower back. It does say it is for colour treated hair, but I would honestly recommend for damamged/frizzy hair also. This conditioner has literally brought my hair back from the dead, it makes my hair super soft and shiny and the 300ml lasts me at least a month, as you only need a small amount. Highly recommend!